Another summer has come and gone as the start of another school year commences. 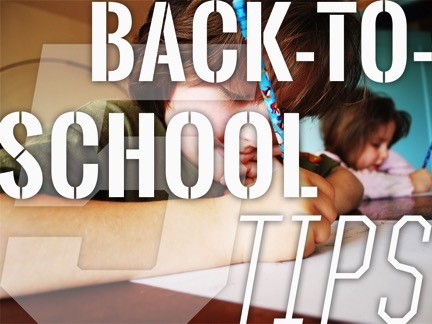 We know the first couple weeks of school can be loathsome, so here are 5 tips for making the transition to school from summer easier for both you and your child. If your child is anxious about their first day back, point out the positive aspects of starting school. They’ll see old friends and meet new ones. Refresh their positive memories about previous years, when they may have returned home after the first day with high spirits because they had a good time. Studies show that children who eat a nutritious breakfast function better. They do better in school, and have better concentration and more energy. Try upgrading your child’s breakfast with something nutritious and see difference it makes! If your school allows, consider a rolling backpack. This type of backpack may be a good choice for students who must tote a heavy load.